MSG Entertainment and the Garden of Dreams Foundation are pleased to announce that legendary broadcaster and 24-time Emmy Award-winner Bob Costas has been named host of Garden of Laughs, a comedy event presented by Chase to benefit the Garden of Dreams Foundation. The special evening is set to take place on Saturday, January 26, 2013 at The Theater at Madison Square Garden. Costas’ experience in broadcasting runs almost the entire spectrum of sports, having covered the NFL, MLB, NBA, NHL, the Olympic Games, College Basketball, Horse Racing and more. 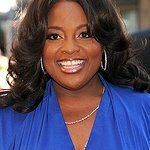 A 24-time Emmy Award winner, he has the additional distinction of having been nominated for an Emmy in five different categories. He is the only person ever to win Emmys for news, sports, and entertainment. 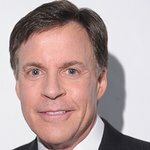 Costas has been named Sportscaster of the Year a record eight times by the National Sportswriters and Sportscaster Association. Beyond sports, Costas is well known for his interviews with people from all walks of life, especially comedians. His rapport and revealing conversations with countless comedy legends are another reason he is well suited to be part of this event. Along with Costas, Garden of Laughs, which is being Executive Produced by Emmy Award-winner Rory Rosegarten, will feature stand-up performances by some of the biggest names in comedy including Adam Ferrara, Darrell Hammond, Robert Klein, Brian Regan, Ray Romano and Wanda Sykes. Joining this celebrated comedic line-up will be an esteemed list of entertainment and sports icons, who will serve as presenters for this very special occasion. The evening will benefit the Garden of Dreams Foundation, which works with all areas of The Madison Square Garden Company, including MSG Entertainment, the Knicks, the Rangers, the Liberty, MSG Networks and Fuse to make dreams come true for children facing obstacles. “As a renowned sportscaster and television’s most honored studio host, Bob Costas is a legend. We are long-time fans of his and extremely grateful that he would graciously donate his time to serve as the Master of Ceremonies for this special event,” said Rosegarten. Tickets to Garden of Laughs are on sale now and available through Ticketmaster Charge By Phone (1-866-858-0008) and all Ticketmaster outlets. Tickets are also available in person at MSG, Radio City Music Hall and the Beacon Theatre Box Offices. All net proceeds raised will help support the Garden of Dreams’ efforts to make dreams come true for children facing obstacles. Since its inception in September 2006, Garden of Dreams has created thousands of once-in-a-lifetime experiences that have brought joy and happiness to more than 215,000 children and their families. These unique and unforgettable on-going events and programs – often involving unprecedented access to Madison Square Garden celebrities, events and venues – have brightened the lives of children battling everything from homelessness and extreme poverty, to illness, to foster care. The Garden of Dreams Foundation undertakes a staggering number of annual events to brighten the lives of children, with nearly 500 events taking place over the past year alone. Ongoing opportunities include attendance at numerous games and events at Madison Square Garden and Radio City Music Hall; ongoing educational and career oriented programs targeting high school students; hockey, basketball and dance skill programs in partnership with the Rangers, Knicks and Rockettes; the annual Garden of Dreams Talent Show on the Great Stage of Radio City; and Dream Week, a week-long summer camp that incorporates all of Madison Square Garden properties. In addition, the Foundation conducts ongoing wish fulfillment; toy, coats and holiday drives and celebrity, athlete and coach clinics.